Valant is a completely new platform built on modern technologies including an elastic and infinitely scalable data model, mobile app-inspired experience, and an on-demand ability to respond to change without additional investment in time, money, or training. Our platform isn’t an EHR, it’s the technology partner community mental health deserves. Valant was founded in 2005 to provide behavioral health practices, agencies and clinicians with cloud-based software to streamline administration and empower what’s most important: improving outcomes. Inspired by the fact that technology has transformed all of our lives in meaningful ways, Valant has reinvented the behavioral health platform. If your agency must suddenly respond to a regulatory change or satisfy requirements for an incentive program, how quickly can you do it? How much will it cost you? 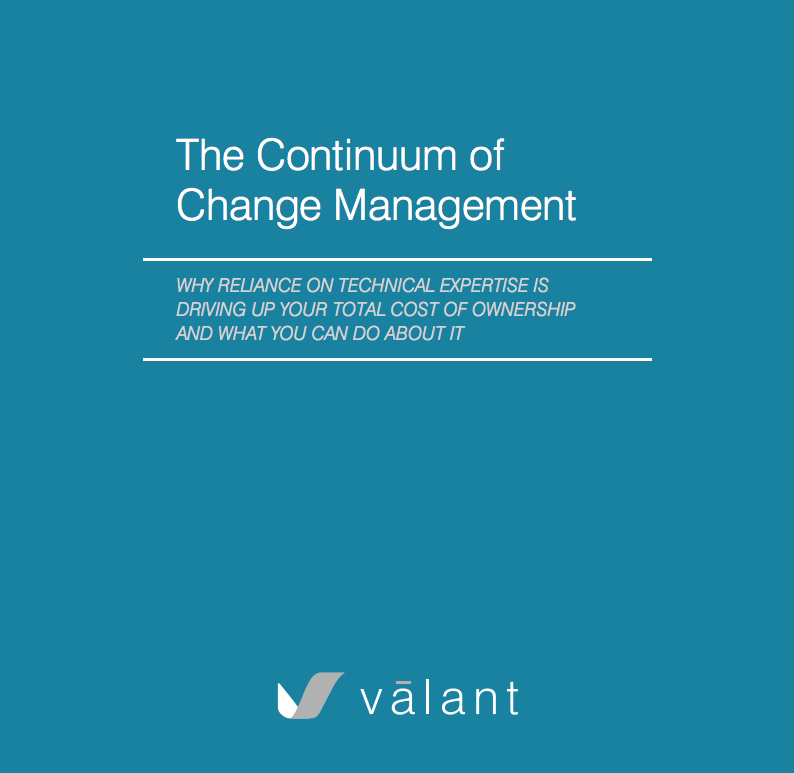 The organizational challenges of change management can be viewed through a spectrum of difficulty, ranging from simple issues that can be resolved by calling customer support, to complex problems that require the software to be recoded by a team of engineers. In “The Continuum of Change Management” we explore the ins and outs of change management, and examine the correlations between the varying complexity of organizational challenges and the different types of EHR solutions available. Time and time again the inherent inflexibility of traditional software has resulted in organizations addressing their challenges from the difficult end of the continuum, resulting in increased costs in both time and resources. This is further compounded by the nature of the behavioral health industry, which is subject to ongoing regulatory revision. Thank you for submitting. Your download should begin immediatley. Please click here if you're having any issues. DSM and Measurement-based care: How has the dust settled? Thank your for requesting pricing information for Valant EHR! A representative will be providing that information shortly. Thank your for requesting a demonstration! A representative will be in contact with your shortly. Would you like to see a Demo? Thank your for subscribing! You will now get Valant.com blog content direct to your inbox! Would you like to subscribe to our blog?